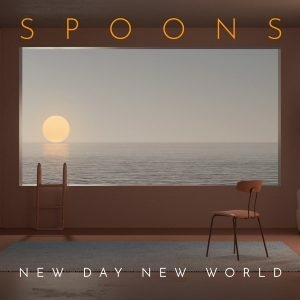 Spoons are a long-haul Canadian new wave band formed 1979 in Burlington. Jeff Carter is their longtime producer, collaborator, and husband to founding member/bassist Sandy Horne. 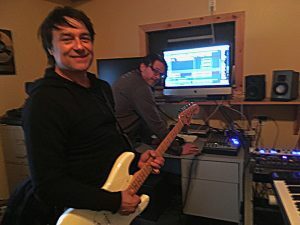 Jeff got into Studio One after years in analog recording, including some time with PreSonus’ FireStudio interfaces when collaborating with Sandy and helping her set up her studio. 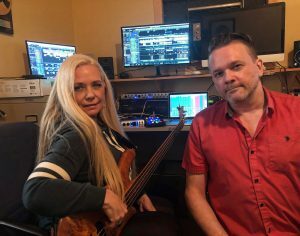 When Studio One version 1 was released, they switched from Cubase… and were able to collaborate so effortlessly together that Jeff actually credits Studio One with helping cement a relationship with Sandy—which culminated in their marriage! What PreSonus products have you used and which do you currently use? I’ve used all kinds of PreSonus hardware, going back to the early FireStudios, then the Firestudio Project, and then the Firestudio Tube, which I still use on our older iMac system—the new system is using a Thunderbolt interface. Static in Transmission was recorded entirely with those various FireStudio interfaces, with the help of a Presonus HP4 headphone amp. We also use a new PreSonus Studio 26 as an interface for live shows, for the keyboard player’s virtual instrument outputs and backing tracks. I’ve also had the opportunity to mix live on various versions of the StudioLive consoles, going back to the first generation, which has been a joy, as they’ve all had an intuitive layout, similar in philosophy to Studio One. I’m now using a Faderport Version 2 in the studio as well, which has been great for streamlining certain functions, like scrolling the timeline, mutes and solos, transports, and writing automation. But overall, Studio One Professional has been far and away the most important addition to Sky Studios, and since its inception, we’ve used every subsequent version of it since the beginning. I have other DAWs… pretty much all of the major ones; I keep them around, mostly just in case clients bring files in from other systems for me to mix; but even then, I’ll bounce the stems over to Studio One, or just export the files as OMF—which is another fantastic addition to Studio One that’s made my life so much easier! For what applications are you using Studio One Professional? I use Studio One for almost anything audio and/or MIDI related: composing, recording, mixing, re-mixing, post-production, sound design, and mastering. Now, with Studio One, the big eye-opening moment for me happened with version 3, when the Console Shaper was first added. Finally, my mixes started to have some of that subtly-more dynamic, organic, and harmonically “gelled-together” sound that I had been chasing ever since my days mixing on that big ol’ Trident console back in the 90s. When CTC-1 (on sale now!) came out soon after, I immediately bought it, and it’s made a stunning difference. On New Day New World, I tended to use the Tube Mode on bass and certain synth busses, because there’s a low-end warmth that it imparts that I really dig, and the Classic Mode was sometimes used on guitar or vocal busses—but the big winner was the Custom Mode, which was used on many things, but always used on drums, and on the 2 buss, boosting the “drive” and “character” parameters just enough to get the tracks into that sweet spot where things sound full, yet detailed, and open, yet tight. For all those who have Studio One Pro 3 or above, try it: you’ll know what I’m talking about as soon as you hear it. What led you to choose Studio One? Was it the company’s reputation, audio quality, ease of use, specific features, price, other factors? PreSonus has always had a solid reputation, but it was being shown real-world examples of how intuitive it is to work with that really sold me. With Long and McQuade, I almost always physically demonstrate Studio One, as opposed to just talking about it; the workflow sells itself. The audio quality of the 64-bit mix engine, especially with CTC-1 in use, is like nothing I’ve ever worked with, excluding large analog consoles. 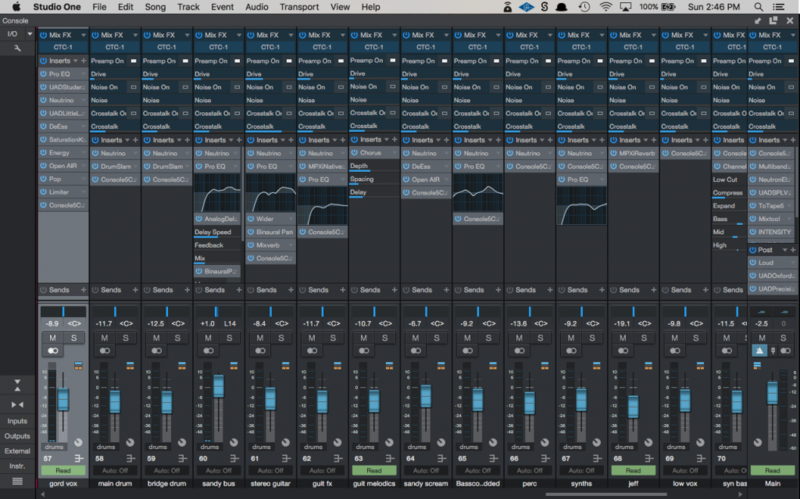 The Presonus Symphonic Orchestra Add-on is also great sounding, from the subtle, switchable articulation in the string sections, to the warm brass, to the orchestral timpani and percussion. You can hear it all over the opening track of New Day New World, and on the strings at the end of “Love Recall.” The pricing for Studio one is more than reasonable considering what you get; and the Artist version being included with even the least expensive PreSonus interfaces is honestly a total steal. 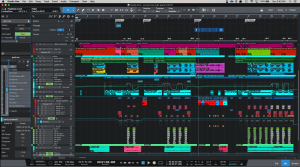 What Studio One features have proven particularly useful and why? The automation mapping is so simple that it encourages me to get more creative, easily automating subtle things like synth detuning, delay mixes, and feedback, or rotary speaker speeds. I’m no longer afraid to try things like that while working with an artist in the studio with me, as it doesn’t really slow down the pace of work, or hamper the creative process, because it can be done so quickly. On previous DAWs, If it was too time-consuming or tedious, I might have to try things like that on my own time, or possibly not at all. There’s a part in the dub/soca-influenced bridge of “All the Wrong Things (In the Right Places),” off New Day New World, where the guitar track pans wildly back and forth, but still in rhythm with the song, while you can hear the Analog Delay plug-in (the long echo on Gord’s vocal) subtly deepening its modulation depth (which detunes the vocal only in the feedback loop), which were all relatively easy to do with the preset automation shapes coupled with the transform function. Being able to cross-fade overlapping audio clips with just the press of the “x” key, and adjusting the slip points and volume offsets of clips with such easily variable curves is dynamite… something I use all the time. The VCA implementation is logical, and being able to easily write VCA automation to tracks is a real-time saver as well. The new chord track has come in very handy too; in “Repeatable,” there’s a guitar solo that comes in around the one minute mark that I thought was too similar to the one near the end of the song, so I extracted the chords from another (rhythm) guitar track, then transposed that first solo up 5 or 6 semitones (which obviously put it out of key), but then set it to follow the rhythm guitar’s chord track, which not only put the solo back in key, but it made sure the lead part still followed the song’s changes, creating this new solo part that had the same feel as the later solo, but with a new, higher-pitched variation on the notes, making it quite distinct. How does Studio One compare to other DAWs you have used? What does it give you that other DAWs don’t? Like I’ve mentioned, workflow is one of the biggest reasons to use Studio One; automation assignments of almost anything that moves on-screen are only a right-click away (or a simple drag-to-track from the little hand in the top right) Clip gain offsets, slip edits, and fade-in/fade-out/crossfade edits are super easy and fast. Time-stretching clips to bar and beat lines is a similarly-simple Alt+drag. In Studio One, I use custom keyboard shortcuts for changing the note values in the drum editor; that way I can switch between painting in 8th note/16th note/and 32nd note hi-hat rolls, for example, on the fly. In most DAWs, that’s not something that’s easy to set up, if possible at all. The new Tempo editor, with its easy to draw in curves, is a vast improvement over the previous version; I used those curves to give a subtly-increasing energy-boost to the choruses of “All the Wrong Things”. Being able to extract MIDI note data from audio recordings (via the Melodyne Editor) is something I never imagined possible, and it’s so simple to do: just drag the “Melodyned” audio clip to an instrument track! I used that trick to create a sub-octave synth bass (triggering the Mai Tai analog synth plugin) that follows along with Sandy’s live electric bass all the way through “All the Wrong Things,” and in certain parts of several other tracks. Which Studio One feature or concept doesn’t get enough spotlight (or isn’t talked about enough) in your opinion? CTC-1 and Mix Engine effects doesn’t get near enough praise! Especially the “custom” model. Absolute magic. There’s a screen-shot here of the mixer, with lots of instances of CTC-1 open on all the busses. I’d like to try out the Softube tape shortly as well, as it looks very promising. Mai Tai is also a fantastic-sounding yet still perhaps under-praised synth; I used it all over this record, not only for pads and sub-bass, but critically, the main, echoed synth-patch which sets the overall tone and vibe of “Landing Lights” is a Mai Tai patch (Poly-Arp3), that I modified to be a bit tighter and pluckier. Any useful tips/tricks or interesting stories based on your experience with Studio One that would be of interest to our user base? Another thing I discovered was a variation on Craig Anderton’s “Tonal Verb” concept, that he wrote about a while ago on the Presonus blog. But instead of using two nearly identical reverbs on an FX buss, I use the same technique to create two nearly-identical, but out of phase compressors, inserted directly, just changing the attack or release on one or the other; all you end up hearing is the difference between the attack (or release) portions, and I’ve used this to get rid of excessive decay or resonance in snare and shaker parts, setting one compressor’s attack to “0”, and opening the other one up a bit, leaving only the transients. Use longer attacks on both comps to create “soft” guitar or drum parts, where the pick attacks and stick hits swell in. Similar concept can be used with two near-identical but out-of-phase EQs, where one EQ has peak or valley points and the other doesn’t; all you hear is what’s “inside” those difference-peaks, and nothing else…sort like a multi-band bandpass filter. Great for capturing only the “ring” or resonance points of an interesting, but otherwise-messy snare sample, which can be blended in with other, cleaner snares. ( I used this on one of the drum layers in “Repeatable”, where the original loop was recorded from a drum loop in a vox amplug practice device, that had a neat character that I only wanted to capture certain parts of) The groove extraction feature came in very handy there as well, as I was able easily match up the feel of that sampled drum loop with my added Impact drum samples. 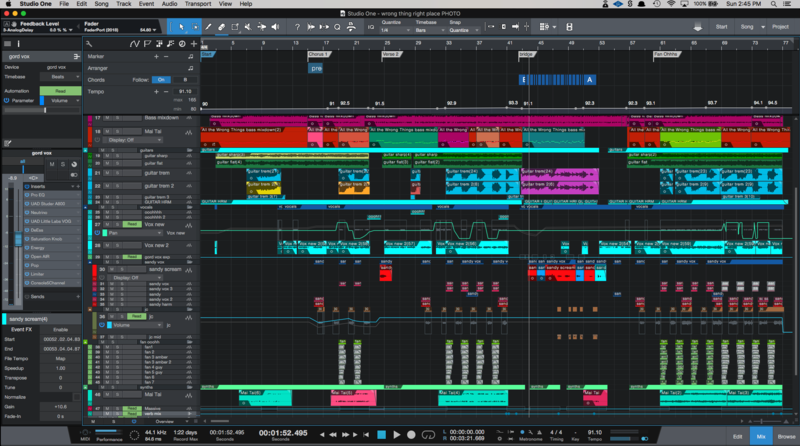 Any final comments about PreSonus and Studio One? This is the second interview with me that PreSonus has been so kind to do; the first one came out almost eight years ago after Static in Transmission was released. 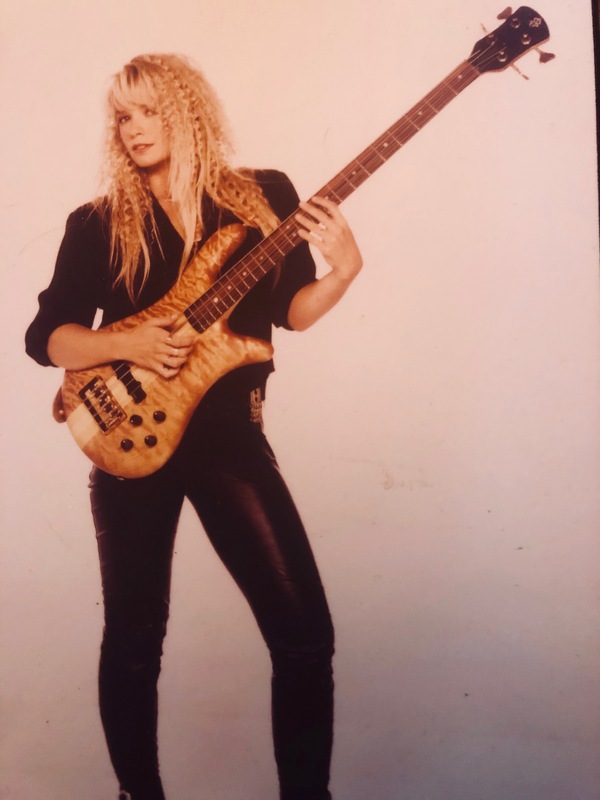 I have to say that PreSonus, as a company, has not only had great support for me and thousands of other customers, but you’ve seemed to go out of your way to encourage and inspire musicians of all kinds. In the past eight years, I’ve grown more and more comfortable with Studio One, but despite that level of comfort, I’m still discovering new things I can do with it every week, partly thanks to the great articles and learning videos you post on your blog. It’s been an incredibly satisfying and exciting experience growing along with your software and your company, and I look forward to it remaining an integral part of my musical life. Thanks for making great software! Jeff Carter and Sandy Horne—Spoons.